A vertebral subluxation is the result of spinal bones that do not sit in their proper position, blocking the flow and communication of your nervous system ( your healing and adaptation system). What is the primary purpose of your spine? Most people say “to hold me up”. Although the spine does have a strictly structural component, the primary purpose of your spine is to protect your spinal cord and the nerve roots that leave the spinal cord. These nerve roots then branch out to every single cell, tissue and organ in your body. Without this intricate and extremely comprehensive communication system, the body cannot function and heal as it was designed and intended. When the spinal bones are not in their correct position they will not move or glide as they were designed. This results with improper motion, degeneration and decay ( arthritis). Worse than all of this is the fact that these mal-aligned vertebrae can affect the nerve communications between your brain and your body. 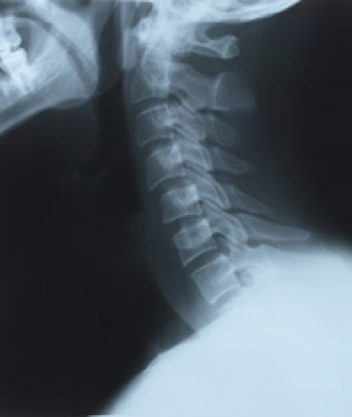 A vertebral subluxation is a stress response. Spinal bones lock up. Muscles go into spasm. And adjacent nerves are choked or chafed. This interferes with the control and regulation of your body. This garbles communications between the brain and parts of your body. Distorted nerve communications can be an underlying cause of many health problems beyond just headaches and back pain. For example, interference with nerve impulses going to or from your stomach creating stomach problems. Distorted nerve impulses coming from the middle of your neck can cause numbness and tingling in the hand, carpal tunnel syndrome, etc. Important fact: Your nervous system controls every cell, tissue, organ and system of your body. These nerve impulses travel through your spine to these systems. So having a spine free of vertebral subluxations is essential for optimal health.